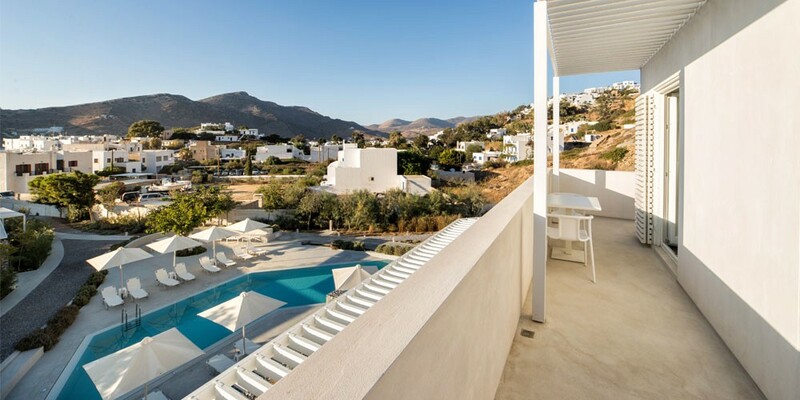 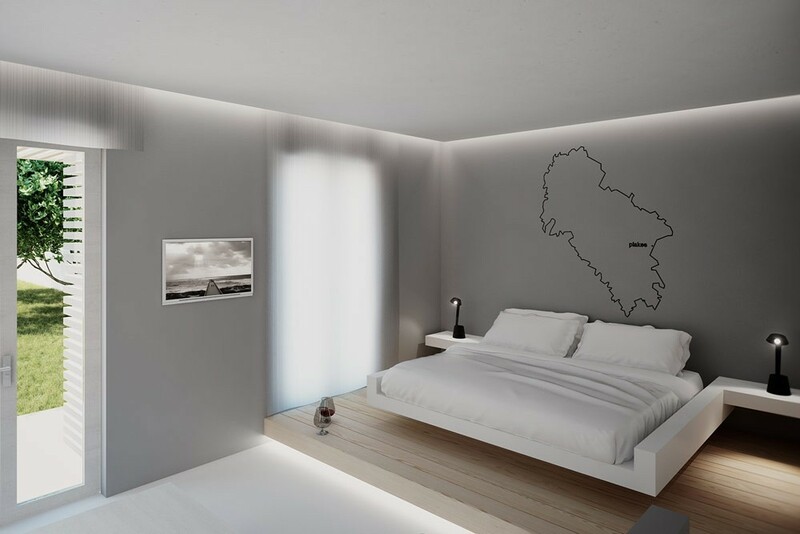 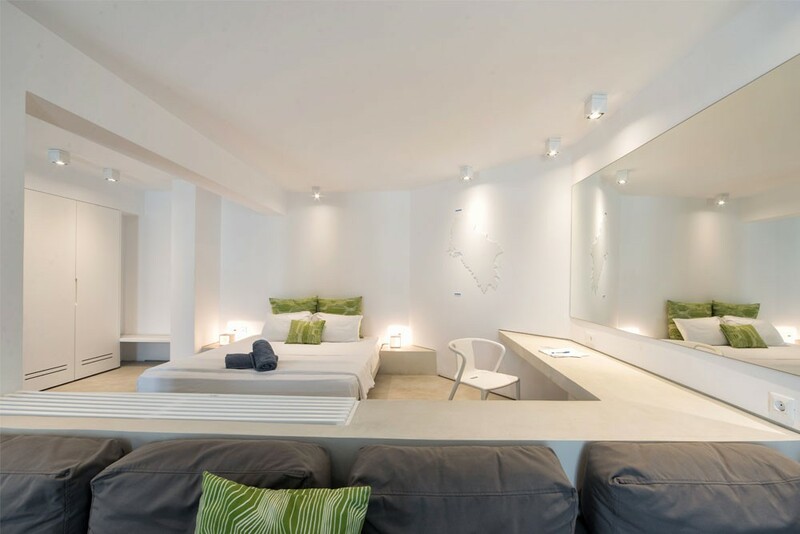 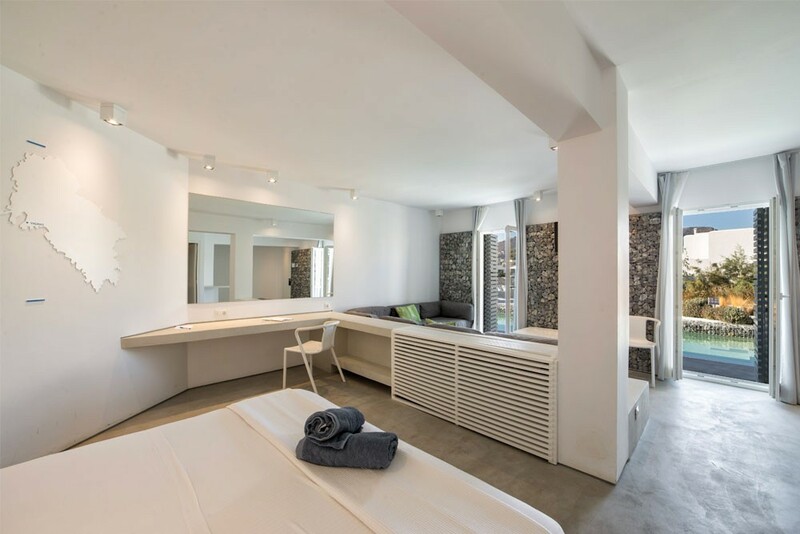 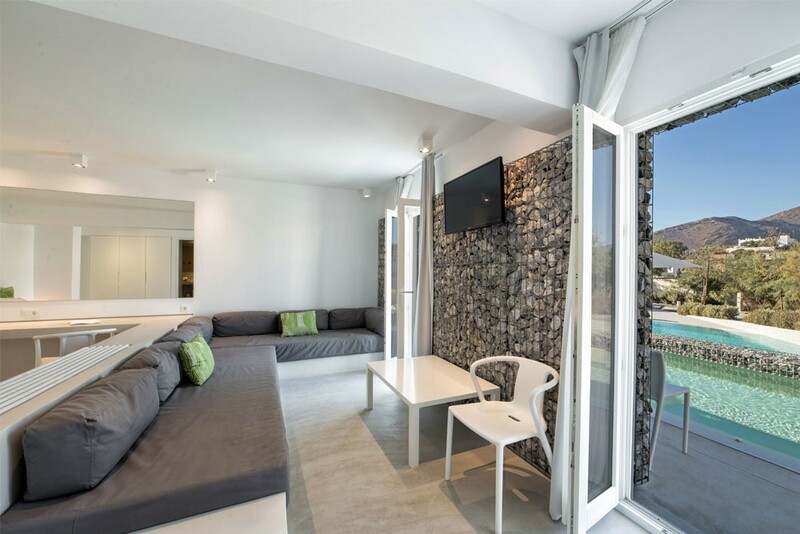 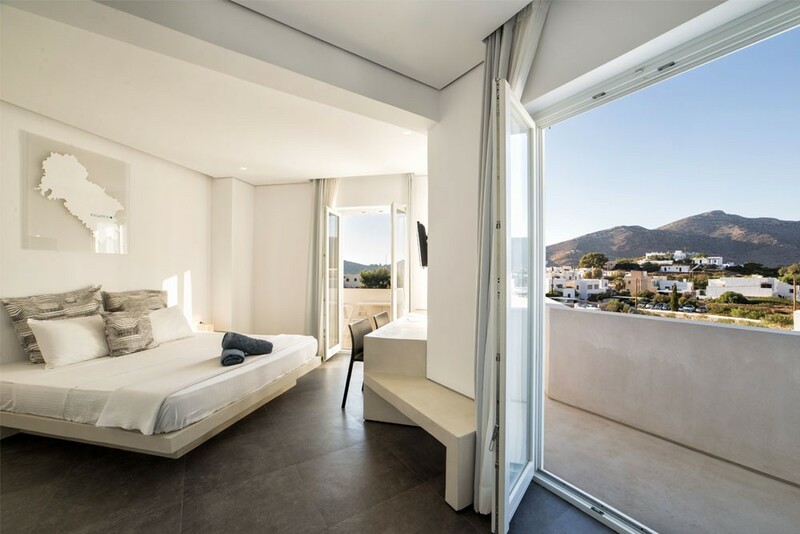 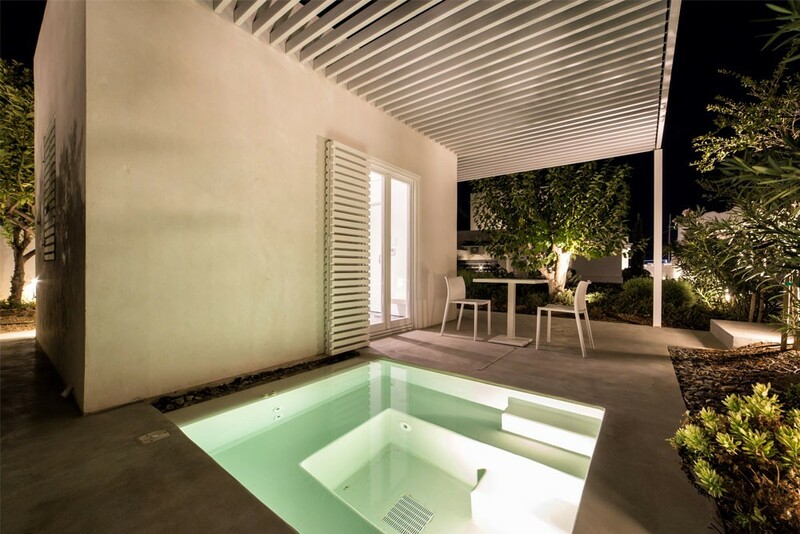 Relux Ios is a stylish Boutique hotel located in a quiet spot along the port of Ios, just 300 meters from the beautiful beach of Gialos. 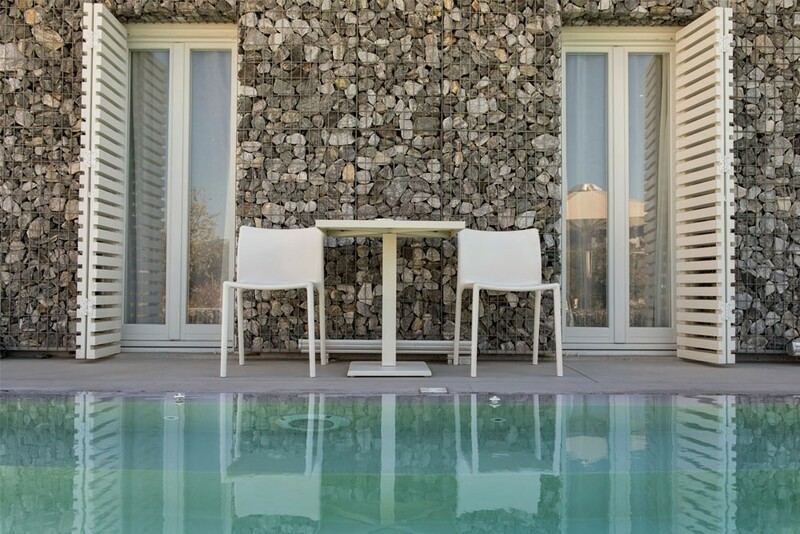 The hotel features 17 tastefully furnished rooms and suites, a delightful pool with a spacious sun terrace and sun loungers for guests to relax. 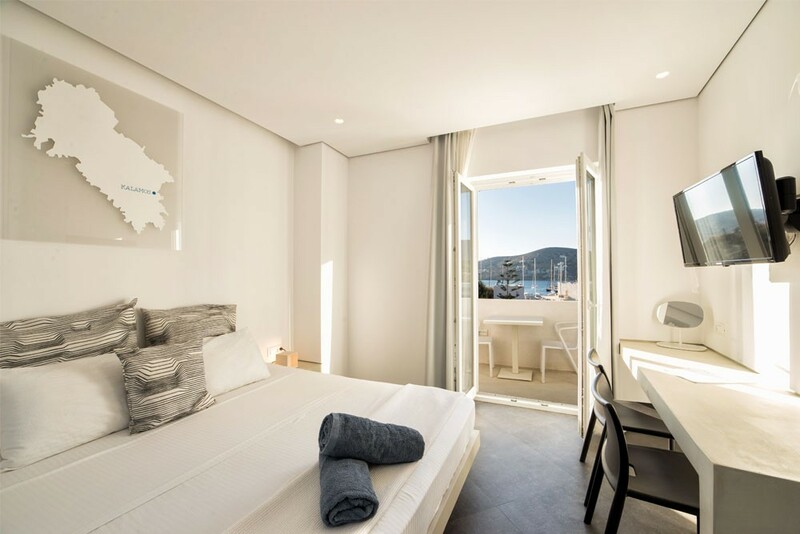 The 4 star Relux Ios offers its guests a quiet retreat with first-class facilities including an attractive restaurant serving high-quality cuisine overlooking the port of Ios. 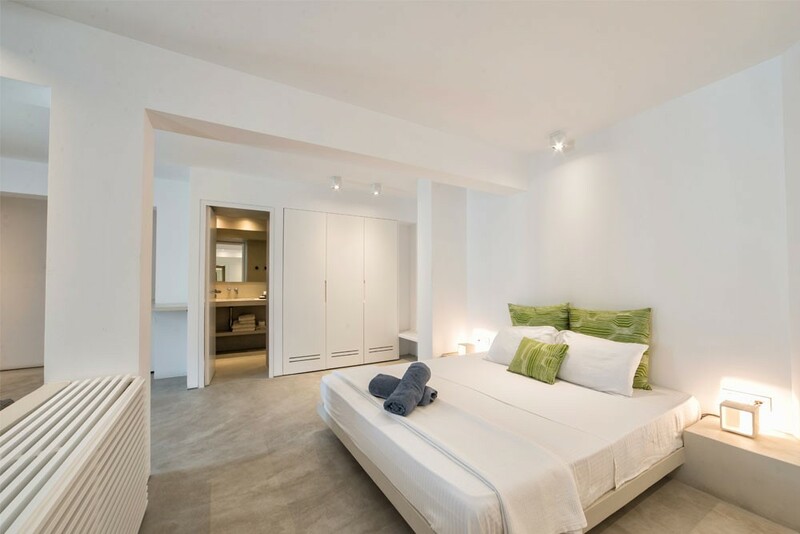 Master with King size bed + Second bedroom with 2 built-in sofa beds. 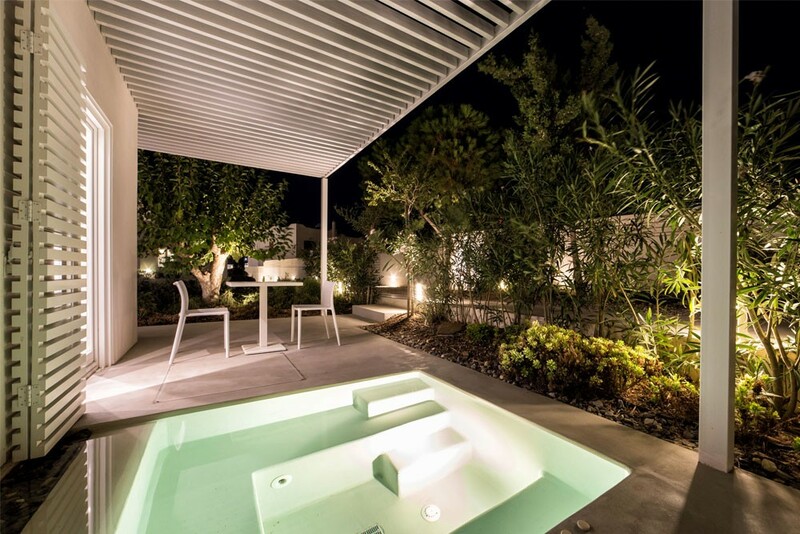 Large terrace with garden and private Jacuzzi plus a parking area. 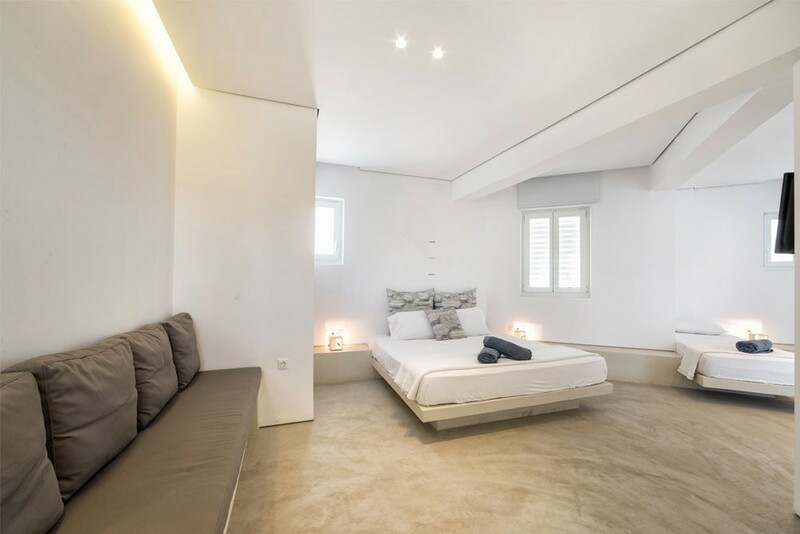 Master bedroom with King size bed + Second bedroom with 2 built-in sofa beds. 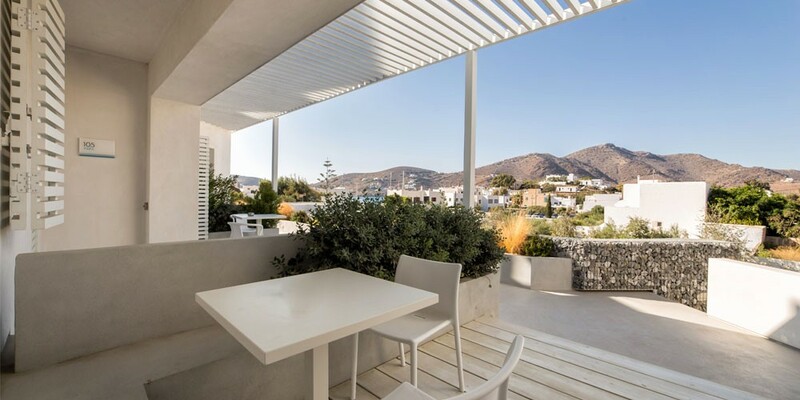 Large private terrace with a garden view. 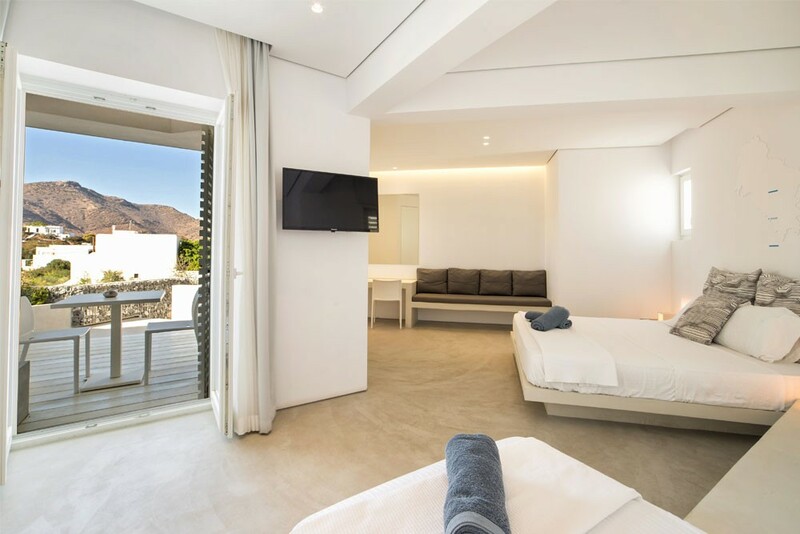 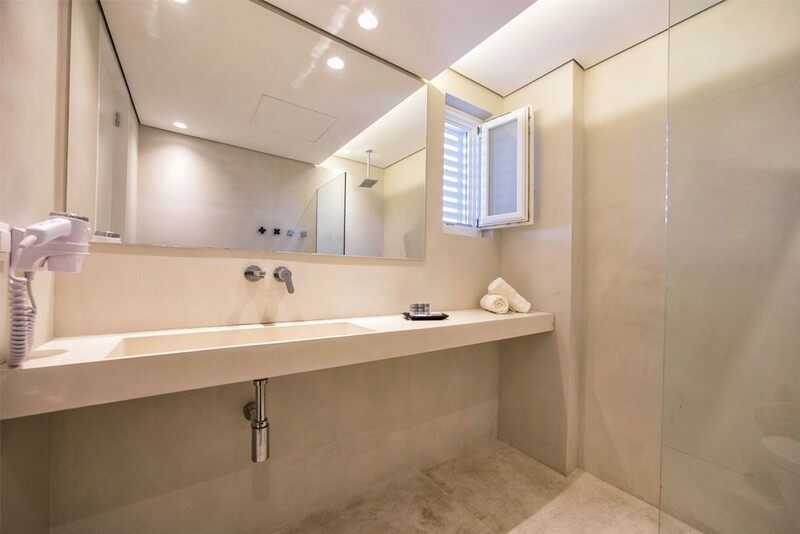 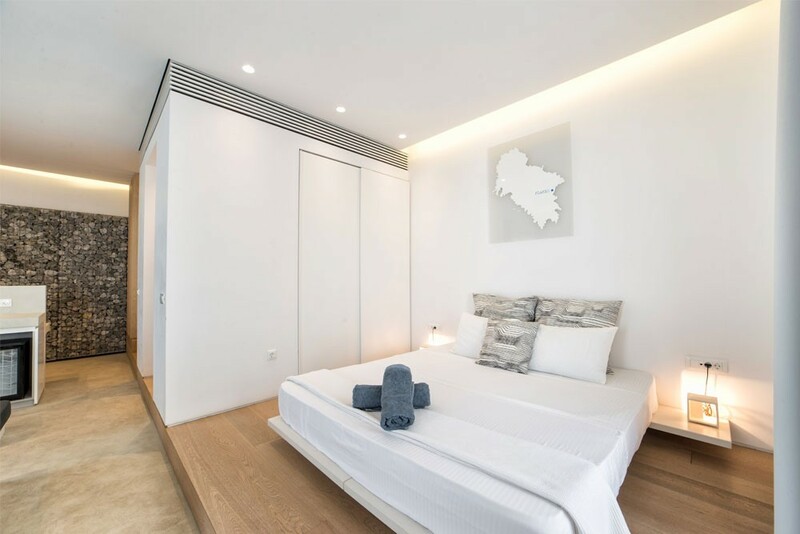 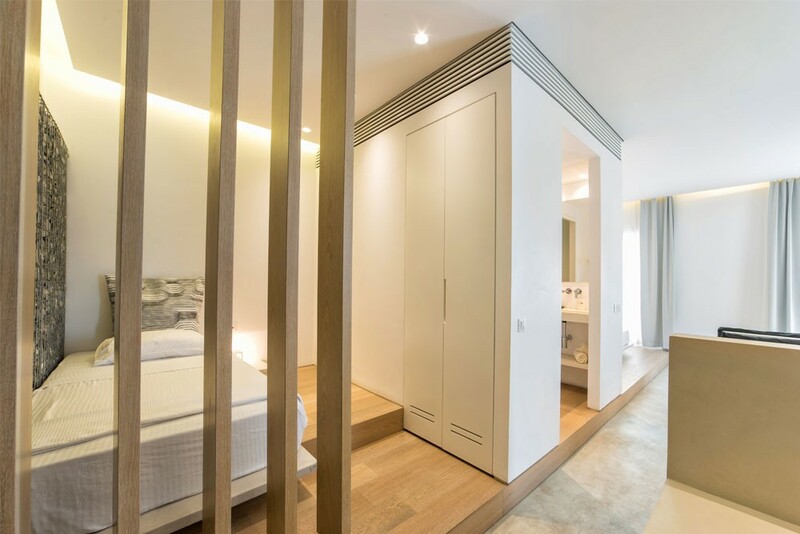 All of the Relux Ios rooms & Suites are fully equipped with individually controlled air conditioning and heating, satellite TV, hair-dryer, direct telephone, mini-bar, pool towels, slippers, toiletries, and free Wi-Fi internet access.